The 32-year-old all-rounder, who has represented his country in all three formats of the game and was due to play for the Sydney Sixers in the Big Bash League. 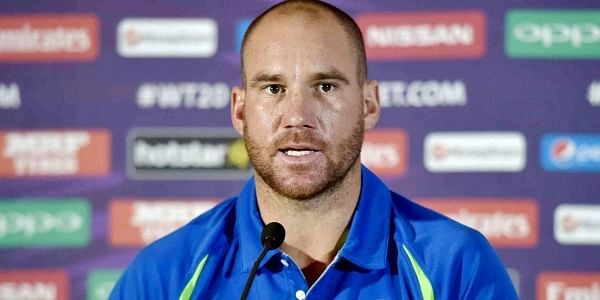 SYDNEY: Australian international John Hastings said his cricket career could be over after struggling with a mystery illness that causes him to cough up blood whenever he bowls. The 32-year-old all-rounder, who has represented his country in all three formats of the game and was due to play for the Sydney Sixers in the Big Bash League this season, said the condition was getting worse. "Every time I'm bowling now it's happening," he told the Australian Broadcasting Corporation. "It's literally just bowling. It's not running. I can do boxing, weight sessions, rowing, anything like that." "But as soon as the pressure (of bowling) at the crease at match intensity, when I step it up, literally I burst blood vessels in my lungs and I walk back to my mark and cough up some blood." He first noticed the issue several years ago and despite a battery of tests and operations is no closer to knowing why it happens only when he bowls. "It's pretty scary, but they can't tell for sure it's not going to cause long-term damage. There's a lot of grey area surrounding it," he added. The muscular Hastings, who played one Test, nine Twenty20s and 29 one-day internationals, was keen to continue his career and cash in on the lucrative Twenty20 circuit, but admits it is now likely over. "I've played this game my whole life and I wanted to keep playing it," he said. "I wanted to play tournaments all around the world. That's one of the reasons I retired early from one-day and four-day cricket." "To see it maybe slipping away, it's pretty tough to take and at this stage, unless something miraculous happens, I won't be able to bowl."